I was given an opportunity to contribute articles on Videography to the PhotoVideoi magazine. They are essentially the Hardware Magazine team and really nice guys. I’ll be writing stuff every month on some equipment I deal with. I’m not the most qualified guy around but I do understand a good portion of prosumer folks, being one myself. Hence my reviews will be targeted to help prosumers decide on what to buy hopefully. After all, I am always looking for folks to seek advise before any purchase. 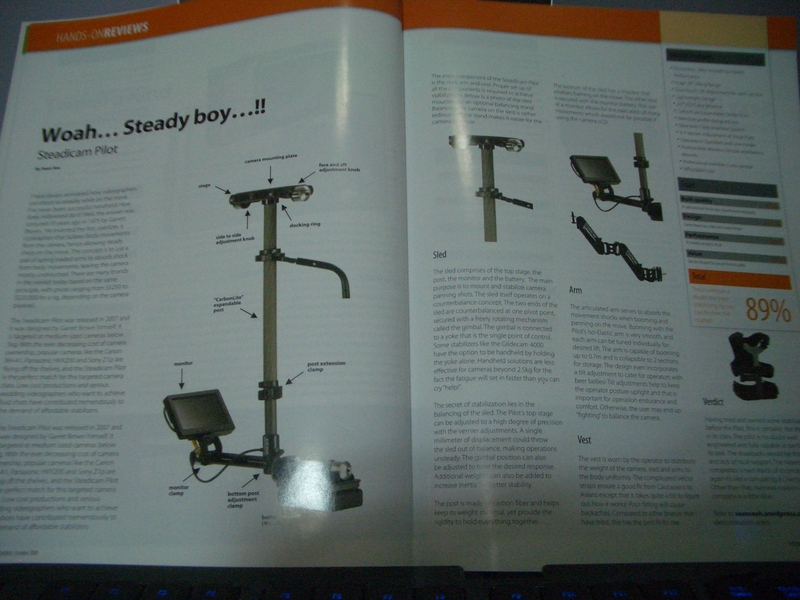 The first article is out in Oct 08 copy titled, “Woah.. Steady Boy!”. Its about stabilisers. I wanted to make a video for some sample shots but I could not completed it because of my big day. So I decided to make a combo from the stuff I have.